We had a lunch time with my mother last Saturday. We went to a Crab restaurant. I'll show you some dishes! 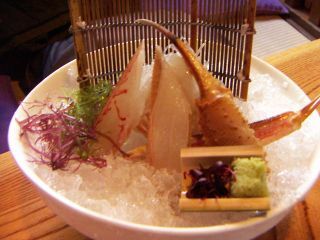 Here are crab sashimis. Have you ever tried it? It was so sweet and soft. Yummy! 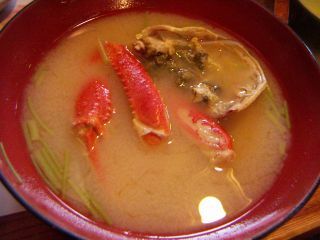 Another dish is a crab miso-soup. Finally, this is boiled crab. 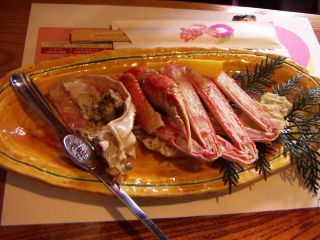 It is said people become very quiet when they eat crabs because they have to concentrate on just putting out the meat from the shell. I've never tried crab meat in other countries. 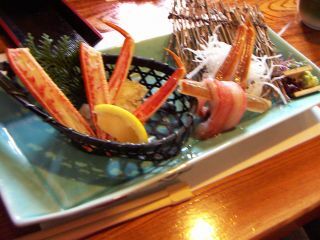 I'd like to know how people eat crab meat overseas. I might be able to try some next time I go to NY or somewhere! 前の記事へ：NY subway is on strike! !